An establishment of a family unit is the Topset and Emir Topset Hotel located, just 4 kms away from Kyrenia on the coastal side, in a village karaoglanoglu. This is reachable within 45 minutes from Ercan Airport and within half hour from Larnaca Airport. As it is very near to city center it allows the guests to reach any shopping centers and restaurants within less time as there is frequent mini bus facility. This family unit hotel comprises of three complexes surrounded with green gardens and its charming flowers. This is a great place for tourism in Northern Cyprus, Kyrenia as it offers service with its family unit called Emir Topset from 1998 and provides great hospitality, service to satisfy the guests need and to their comfort level. 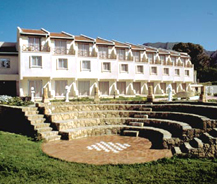 As it got wide popularity the number of guests visiting the hotel in holidays increased so as to keep them under their service they opened a new block in 2006. This Topset group's hotel comprises of 72 rooms with double cot facilities and there is also a garden studio which is full of village architecture in its traditional Turkish Cypriot. All the rooms have facilities like mini bar, hair dryers, direct and separate telephone lines, bathroom with shower and telephone line, cooling/heating, and sea view balconies.